The new Martin MAC 250 Krypton features a number of significant changes that make this moving head suited to an even wider variety of markets - the club and discotheque scene, retail and leisure applications, special events and more. A new and improved glass reflector produces extremely high light output. The high precision achromatic lens system maximizes optical efficiency of the included Philips MSD 250/2 lamp for superb picture quality. The multi-layer dichroic reflector minimizes thermal stress and delivers a beautifully even beam. Color is provided from a motorized color wheel housing 12 replaceable dichroic color filters plus open with split position possibilities. New pan and tilt motor technology produces improved movement, making the new MAC 250 fixtures the fastest moving heads that Martin has ever manufactured - and faster than competitive fixtures. The automatic reset function is ultra fast, realigning the fixture in seconds if knocked out of position. The design of the MAC 250 Krypton is unashamedly inspired by the larger MAC 2000. The new design is highly efficient, making service and maintenance easier with fast access to modules and critical components. A full range dimmer/shutter is very fast and allows for smooth color and effect transitions by varying the intensity of the light output. Strobe effects are possible up to 20 Hz. A bi-directional, 3-facet prism is smooth and rotates at variable speeds, adding unique effects to gobo projection. 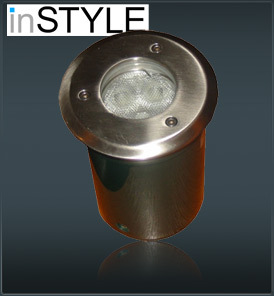 The prism can also be replaced giving lighting professionals an added customizable feature. The MAC 250 Krypton is also equipped with a remote focus and various preset patterns. The Krypton also includes a new light sensitive yellow display, as well as 3 and 5 pin XLR connectors for data, and a convenient, easily switchable power supply covering worldwide voltages and frequencies.